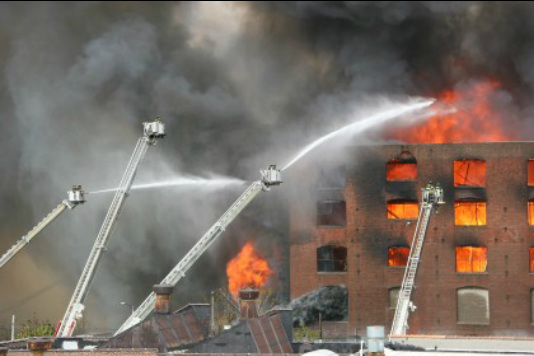 Hanna Law Office won a $4,925,000.00 Settlement in an Apartment Fire case. After someone is hurt or killed in a house fire or apartment fire, the question that might arise is, "Why didn't the smoke detector go off?" Little known fact: There are three types of smoke detectors: ionization smoke detectors, photoelectric smoke detectors and smoke detectors that combine both technologies. Ionization smoke detectors are the most common. Unfortunately, they are also the most notorious for failing to detect slow-building smoking fires. What's worse, their Manufacturers know this. At the Law Office Jeffery A. Hanna, we hold manufacturers accountable when their products fail to go off and prevent burn injuries, smoke inhalation injuries and fire-related deaths. In one particular case, an Apartment Fire, we were able to gain a settlement of almost $5,000,000.00 for the victims (see Successes page). If you or a loved one has been hurt in a fire and you believe a defective smoke detector played a role, we can help. We bring proven experience to these types of cases and we have successfully taken on large businesses across the country to get compensation for victims of fires. From our law office in Warrensburg, Missouri, we handle these cases throughout West-Central Missouri. Jeffery A. Hanna takes great care to identify all liable parties in house fire and apartment fire cases. The smoke detector manufacturer responsible for a defective product may be only one of several targets of lawsuits. In some cases, there may be a separate product liability claim against the manufacturer of the defective product that sparked the fire. There may also be a claim against the property owner for maintenance issues or other problems that played a role in the fire. The goal of the Law Office of Jeffery A. Hanna is to get you all the compensation you are entitled to. For A Free Consultation With An Attorney who has a proven track against Faulty Smoke & Fire Alarm Manufacturers contact us by phone at 660-747-2550 or by using our online form.